This wrap may be a short one – but it’s full of impressive people nonetheless. Definitely more impressive than our attempt at not spilling our coffee this morning (it’s all over us). 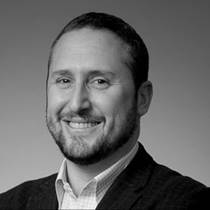 TFE Hotels is pleased to announce the appointment of Antony Ritch as the new CEO following a global search. Ritch will be relocating from Los Angeles, USA to Sydney, Australia and will commence his role at TFE Hotels in February 2019. Ritch is an Australian with a global career spanning over 20 years with Westfield Corporation. During his career he has undertaken a diverse range of senior roles across Australia, the USA and the UK which have honed his leadership, commercial and entrepreneurial skills. He has held international roles in shopping centre operations, property development, regional operations, business development, digital disruption and corporate management. “I have always admired the TFE Hotels business, and I’m thrilled to be joining the team in Australia. As travel and hospitality continue to evolve globally, I am excited by the unique opportunities that TFE Hotels’ growing portfolio and guest experiences will bring to this dynamic industry,” Ritch said. At the AFTA Board meeting this week, Mike Thompson stepped down as the Chairman after 10 years of service in the role. With Thompson departing his position with Helloworld Travel Ltd, he will no longer serve as a director on the AFTA Board and as such is no longer eligible to be the chairman. Thompson will continue as the AFTA representative on the Board of the AFTA Chargeback Scheme (ASC) a position he has held since the creation of the scheme. At the meeting held yesterday, Tom Manwaring from Express Travel Group was elected to take up the chairmanship of AFTA with immediate effect. Manwaring has served on the AFTA Board for the past 4.5 years and is well versed in the many issues being addressed by AFTA. Travellers Choice is today pleased to announce the appointment of Trent Bartlett as the new chairman of its Board, effective immediately. 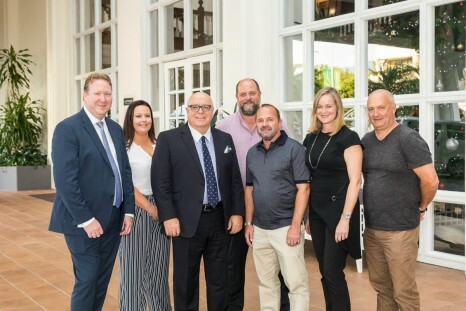 Travellers Choice member shareholders elected Bartlett to the Chairman role at the company’s 2018 Annual General Meeting, held during the group’s Shareholders’ Conference in Cairns. Bartlett has almost 20 years’ experience working at Board and CEO level, during which he has been involved in a range of industry sectors – from tourism and retailing to banking and agriculture – and a variety of business models. He brings to his new role-specific expertise in member-owned/governed organisations, having worked with Co-operative Bulk Handling (Australia’s largest cooperative) and customer-owned Beyond Bank. Being first with the news, Travel Weekly can exclusively reveal the NTIA 2019 nominations. Just kidding, we got this from a press release.